Increase in crude oil price, as well as domestic oil production, raised the nation’s revenues from oil, which made the three tiers of government to share N2tn in the second quarter of this year, the Nigerian Extractive Industry Transparency Initiative has said. The Director, Communications and Advocacy, NEITI, Dr Ogbonnaya Orji, said in a statement made available to our correspondent on Monday that the disclosure was contained in agency’s Quarterly Review. 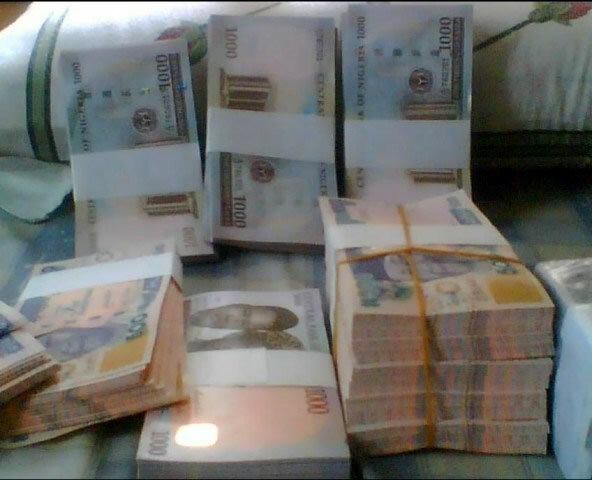 According to the statement, the federal, state and local governments shared N3.95tn from the Federation Account in the first six months of the year. Featuring data sourced from the National Bureau of Statistics, the statement also showed that within the first half of the year, Osun State received N10.24bn from the Federation Account, while its account was debited with N14.52bn. This means that the total deductions from the state’s account was N4.28bn more than it received from the Federation Account. States accounts are debited due to local and foreign debts they have contracted. In contrast, Delta State received the highest amount of N101.19bn in the first half of the year. Total deductions for the state amounted to N13.81bn or 13.65 per cent of the money received from the Federation Account within the period. The Quarterly Review, according to Orji, further showed that the total Federation Accounts Allocation Committee disbursements in the second quarter of the year were 46 per cent higher than the figure for the same period in 2017 and 127 per cent higher than for the same period in 2016. The report noted that while N2tn was shared in the second quarter of the year, N1.38tn was disbursed during the same period last year and only N886.38bn was shared in the second quarter of 2016. “In fact, quarter two 2018 was the first time an amount of N2tn was disbursed since the quarter three of 2014. This is a run of 14 consecutive quarters of disbursements below N2tn,” the report stated. NEITI hinged the increase in revenue earned and shared by the three tiers of government on the rebound in oil prices in the international crude oil market as well as increase in domestic crude oil production. The rise in disbursement recorded in the second quarter of 2018, the report noted, was the highest to the federation since the third quarter of 2014. The report attributed the positive development to the rise in crude oil prices and similar increase in oil production. The Quarterly Review was quoted as stating, “Average oil price in 2016 was $43.5 per barrel, while in 2017 oil price averaged $54.2 per barrel. However, in the first six months of 2018, average oil price was $70.6 per barrel. Thus, on the average, oil price increased by 62.2 per cent between 2016 and the first half of 2018. The disbursements made by FAAC represented an increase of 41 per cent when compared to the N2.79tn disbursed in the first half of 2017 and 95 per cent increase on the N2tn disbursed in the first half of 2016. A breakdown of the disbursements showed that the Federal Government received N1.65tn; states received N1.38tn; while the local governments got N795bn. The disparity in the revenues received by each of the three tiers of government was based on the revenue sharing formula of the federation as stipulated in the Constitution, the statement added. The NEITI Quarterly Review showed that the lowest monthly figure of N635.6bn disbursed in the first half of 2018 was N121.4bn higher than the highest monthly figure of N514.2bn disbursed in the first half of 2017 and N218bn higher than the N417bn for 2016. “These figures clearly indicate that revenue accruing to the federation in the first half of 2018 completely outstripped revenues in the previous two years,” the report stated. Another feature of the NEITI report was the significant increase in Value Added Tax disbursements during the period under review. VAT disbursements increased by 35 per cent between the first quarter of 2015 and the second quarter of 2018. “It is interesting that VAT has been generally increasing over time. This bodes well for the government’s efforts at increasing revenue from non-oil sources,” it added. NEITI expressed hope about increased revenues to the government from both oil and non-oil sectors, but cautioned that the volatile and unpredictable nature of government revenues would continue to make planning difficult for all tiers of government, increasing difficulties in implementing their budgets. It said that there was a need to place priority attention on internally generated revenues.